Your plumbing system is one of the busiest in your home and it is even busier in commercial building. Typically, there are quite a number of components that make the plumbing system which makes it very susceptible to getting clogged and blocked. We have been offering Drain Unblocking Chepstow for the residents of this borough. If you find yourself stuck with a blocked drain, you might want to give us call. At Genesis drainage, we have worked with drain unblocking Chepstow for over 40 years. We have highly qualified staff that are highly trained to handle just about any type of blockage. We promise our clients to not handle their projects diligently and professionally but also to handle you in a friendly and welcoming manner. It does not matter if the clog is at the office or at home. You can rely on Genesis Drainage to come to the site and handle the problem promptly. We pride ourselves in offering our clients both corporate and private with high-quality services and our immense experience gives us the edge that we need to handle just about any type of blockage. We have the tools, the experience and the technical know-how to fix just about any type of blocked drain Chepstow. Other than our push to provide you with value for your money and quality service, we also make sure that during the time you work with us, you have a pleasant experience. You should never worry about us sub-contracting our work or franchising it. 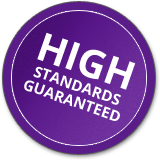 All our teams are in-house and we have very high standards to make sure that our customers are never disappointed. Any of the components that make up your plumbing system can easily break down. Whether it is the sewer, or the common water pipe, you can rely on our experience and high expertise to have the problem fixed as fast as possible. Our highly skilled and trained in-house team is always on stand-by ready to help you with drain unblocking Chepstow at any time of the day or night seven days a week. Our services are fast, reliable and very comprehensive. We take particular pride in having clients and have achieved that in the 40 years that we have been in the industry. You can also rest assured that our services will not dig holes in your pockets or make you pay for unnecessary repairs. We are diligent and honest in our business. Other than fixing blocked drains we also do drain surveys and drain jetting with equal quality and dedication. Quality work guaranteed – We assure you that we will not only get your drains working again but we will get the job done to high-quality standards and this goes for your experience as well. We are affordable and professional – You don’t have to go bankrupt every time you hire a professional. Our services are very affordable and you only pay for what is necessary. Our technicians will tackle the project and you professionally and in a friendly manner. Round the clock service – Worried about suffering a blockage in the middle of the night or maybe during the weekend? Worry not, we offer round the clock service. Using our emergency call-out, you can reach us at any time or day and we will be able to help you with our drain unblocking Chepstow service.